Bible Cartoons: 2 Timothy goes green! 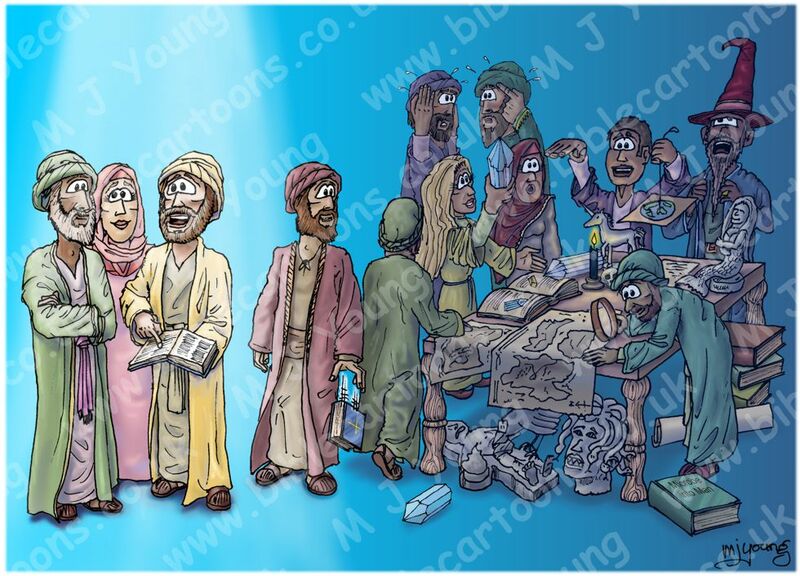 I have just completed my very first Bible Cartoon for the New Testament book 2 Timothy – hurray! 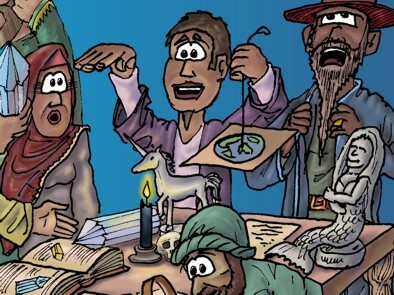 Once again that means on the Search by Bible Book page, the previously red box (indicating no Bible Cartoons drawn for that book) has now turned green (indicating that a Bible Cartoons HAS been drawn for that book) – yippee! 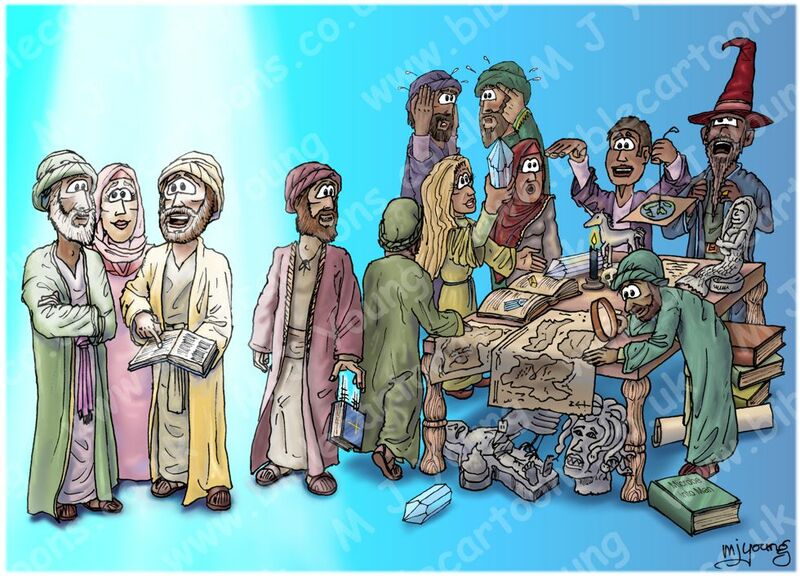 Now I only have 7 books of the Bible to illustrate & then I’ve done at least one Bible Cartoon for each of the 66 books of the Bible… can I do it before year’s end?! 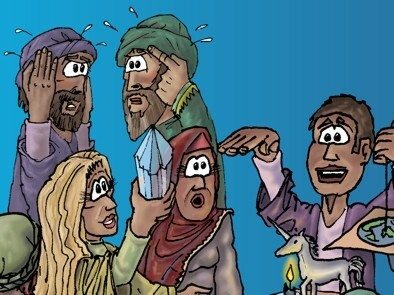 Close-up of men attempting telepathy, blonde woman with crystal. 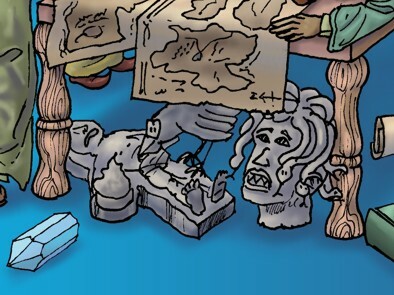 Close-up of man proposing the earth is flat (holding up model), black candle & skull, unicorn & mermaid sculptures. Close-up of Prometheus chained to a rock where an eagle ate his eternally replenished liver every day & the snake haired Medusa statues.